Men are becoming increasingly style-conscious. But has talk of beard sculpting and geometric fades put you off the new, hip-as-hell male grooming experience? Want a return to cheap cuts and a familiar face? 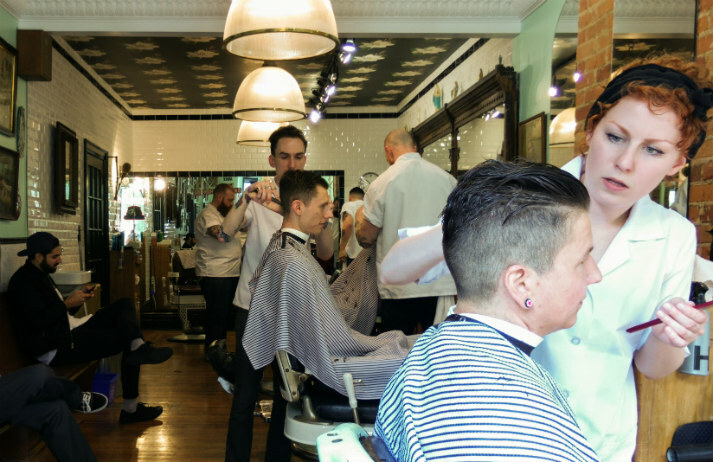 Never fear, because the classic neighbourhood barber is alive and well in Toronto. Around 80% of African American men suffer from painful razor bumps. The most effective solution? Give up shaving altogether. But for those that favour a clean shave, that’s not necessarily a feasible option. Can Bevel disrupt the shaving market and become the Procter & Gamble for black people’? For many men, shaving is one of life's necessities, with 75% of American men shaving daily. But a marketing war between Gillette and Schick has created a razor market that's expensive and over-engineered. Selling cheaper, back-to-basics razors, can Harry's offer an alternative? Procter & Gamble blame Gilette's declining sales on the continuing trend for men sporting stubble or beards. Though beards were once seen as 'for hipsters', the facial hair fashion choice now sits firmly in the mainstream.